Erdve is one of these bands who are so gloriously demented that it's hard to even slap a genre tag on them or to try and imply that they are anything other than icons in the making. There is a sort of monumental majesty behind this band and a sublime poetry to their incredibly demented and poetic songwriting. 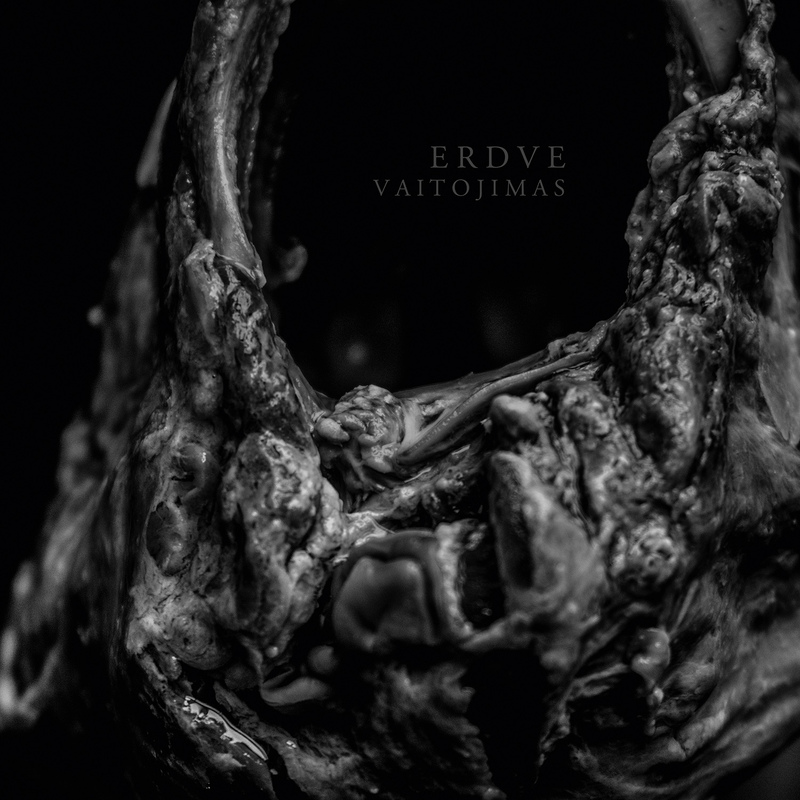 This is the sort of extreme metal that pushes the boundaries in every sense of the word, yet despite its inherent madness it seems fairly clear that Erdve aren't just ridiculously talented, but they also have a boatload of potential. There is a weird sense of destiny that guides Erdve through this debut, the way the songs are constructed with a perpetual sense of forward motion, the weird harmonic ideas and the grooves that borrow just as much from groovy doom metal as they do from the darker sides of the underground. The sonic assault of Vaitojimas rests heavily on enormous musical atmospheres and potent grooves that drive you into the ground. Simultaneously, their compositions are defined by musical twists and turns that know no bounds and will bring you ever deeper into the demented otherworld found within ourselves. This is the sort of record that you can get lost in, the compositions are rich and deep. It's the sort of brainy extreme music that we need if we want the genre to survive and to be known for continually producing meaningful and powerful content. As is - Vaitojimas is something of a masterwork, an album that you are going to keep wanting to come back too and which stands as a potent combination of sparkling originality and a broad swathe of influences across the metal scene, inviting you to dive into the degenerate side of things and enjoy this beautifully challenging listen.